Fantastic ranch home with finished basement. Great floor plan with tons of space. Three spacious bedrooms and three full baths. Has a great deck overlooking backyard. Basement has large finished space and a great area for storage, and workshop. Owners are installing granite counters with tile backsplash in kitchen with new sink and faucet. 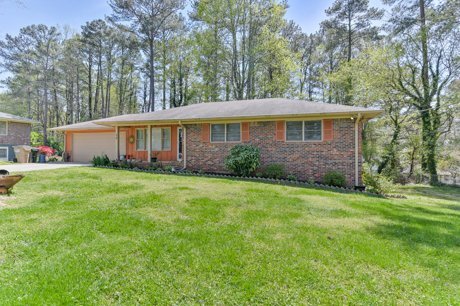 This home is a short drive to all major places in Smyrna and close to 285 and 75. The house is bigger than listed - The square footage does not reflect the finished basement space. 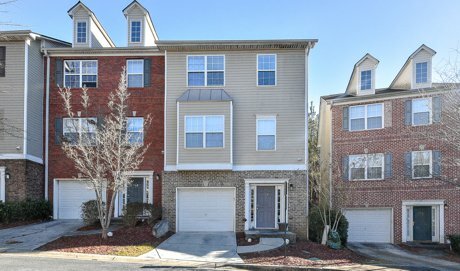 Forest Hills is a well-established, suburban neighborhood in Smyrna, that is only approximatley 10 miles from Atlanta. The proximity to the metropolitan area without the congestion is a bit like having your cake and eating it too. Originally incorporated in 1872, Smyrna maintains its family friendly allure with ongoing improvement projects. Smyrna attracts millennials and baby boomers alike with a median age of 35.7 years. A study ranked the community #4 of the Best Cities for Young Adults in Georgia. The younger people tend to be single and upwardly mobile professionals. Here you’ll find opportunities for friendships, socializing, romance, and fun. Forest Hills is a stand out in the Smyrna community where more than half of the residents hold a 4-year college degree and 17% have graduate degrees. The majority of residents work in professional, scientific, and technical fields. Almost 87% of residents work in white-collar positions. However, employment is well diversified to include retail, health care, education services, hospitality, manufacturing, and financial services. Forest Hills has many features making it probably the most desirable neighborhood in this already desirable larger community. Particularly attractive is the unique mixture of older houses from the 1950s and 60s (most of which have been renovated) and new construction. Almost everyone finds something appealing, with a wide price spread from the $200s to $1M+. Tranquility. The large lots are typically described as having trees, trees, and more trees along with lush natural landscaping. Smyrna is also known as the “Jonquil City” for the thousands upon thousands of fragrant jonquil flowers which bloom in gardens and along tree lined streets in early spring. This area is also home to more than 14 parks and trails. If you want location, location, location, this is the place to be. Besides being ultra-close to Atlanta, it is a crossroads for I-75, I-20, and I-285. For distant travelers, Atlanta’s Hartsfield International Airport is only a 30-minute drive away. Within an 18-mile radius, you’ll also find 4 smaller airports and 2 major railways. Those wanting more local access find quick links onto South Cobb Drive (Highway 280) and Atlanta road. There is also an extension to the East-West Connector that runs through Cobb County. For public transportation, the Cobb Community Transit bus system meets up with the Metropolitan Atlanta Rapid Transit Authority (MARTA) rapid-rail network. All of this comes with spacious living among jogging trails, pools, tennis courts, and public golf courses! The residents of Forest Hills intend to retain its distinctive flavor. In 2000, the Forest Hills Preservation Group was formed by homeowner volunteers. The primary stated objective is preserving neighborhoods with low-density zoning. They find this to be fundamental to the neighborhood’s quality of life and charm. The approach is two pronged. First is encouraging and developing programs and events highlighting the older homes in the neighborhood. Part of the effort is encouraging renovation of older homes rather than levelling and rebuilding. These are efforts by committees to keep all of the residents involved who have an interest. The second primary focus of the Forest Hills Preservation Group is influencing appropriate zoning in the vicinity of the neighborhood. 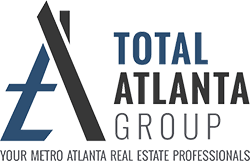 One such occurrence was a packed town hall meeting where the topic was (43) $500,000 four-story townhomes on 5.5 acres of land near Atlanta Road, all inside a gated community. This ran smack up against several characteristics the group wants preserved. Concentrating high-end homes behind gates is neither low-density nor a mixed community. Although the attorney representing the developer stated it would be an improvement to surrounding neighborhoods, the packed room strongly and vocally disagreed. A petition with more than 1,000 signatures was presented to the city council asking that the plan not be approved. Residents acknowledged that development was inevitable but want something less dense. Specifically something similar to surrounding neighborhoods. If you are looking for a community wanting to control its destiny, Forest Hills is probably for you. Other areas of interest to the Forest Hills Preservation Group include its history, natural settings, wildlife, and traditional neighborhood lifestyle. The intension is accomplished through fellowship and community action based on education and involvement. 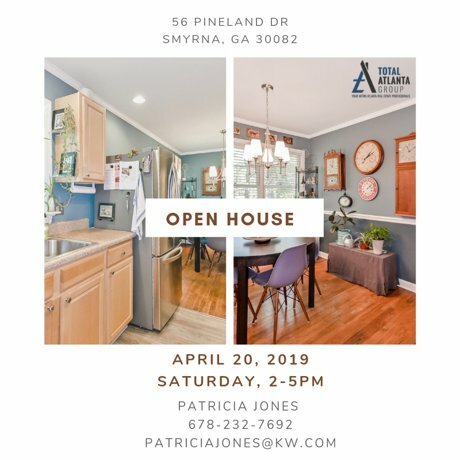 With Atlanta remaining one of the hottest real estate markets in the nation, you might think the quaint near-in suburb of Forest Hills and Smyrna are out of your reach. At the same time, it enjoys being an art and entertainment hub with the likes of the Cobb Performing Arts Center. Yes, there are high-end homes but the people are sincere about keeping it mixed community welcoming to all. Whether you are a new homeowner or recently bought another home (primary residence), there are several property tax exemptions available. You want to lower your tax bill by taking advantage of all the exemptions you are eligible for. All homeowners are eligible for the Basic HomeStead Exemption. Georgia law allows every homeowner to receive a basic exemption for a primary residence that was owned on January 1, 2019. But this isn’t automatic. You have to submit an application to receive the tax break. The basic process is your assessed property value is determined first. Then, the exemption is subtracted from the value before the tax is calculated. This means that if your accessed home value is $100,000, you will only be taxed on $90,000. The taxes this exemption applies to are the county general and school general tax categories. Additionally, you are automatically eligible for a $2,000 exemption in the state tax category. Follow this link for the Cobb County Homestead Exemption Tax Form. You may also be eligible for a Homestead Tax Exemption for city taxes. If you are in the City of Marietta, you qualify for a $4,000 homestead exemption. This application is also due by April 1, 2019. If you are in another city, you should check with that tax authority. If you previously filed and received a homestead tax exemption and still live in the same primary residence, the exemption is should automatically renew each year. However, if you purchased or moved to a different primary residence the homestead exemption does not automatically transfer. You must file a new homestead exemption on your new primary residence. If you have any questions about the homestead tax exemption please send us a note. You can also reached us by sending an email or calling us at (678) 570-8123. We'll be glad to help you! There are other tax exemptions available for residents of Cobb County that you want to be aware of. Cobb County School Tax (Age 62). This is an exemption from all taxes in the school general and school bond tax categories. State Senior $10,000 Income Limit (Age 65). A $4,000 exemption in the state, county bond, and fire district tax categories. Cobb County $22,000 Disability. A $22,000 exemption in all tax categories except the state. 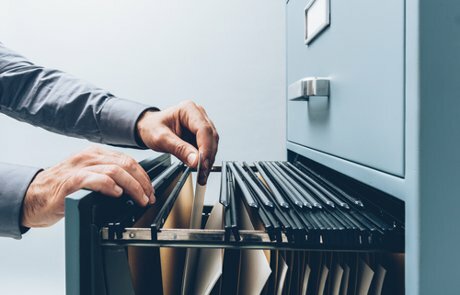 Your annual net income cannot exceed $12,000 for the immediately preceding year (this includes income of your spouse but does not include income received as a result of the disability; e.g. disability retirement). State Veteran's Disability. A set exemption in all tax categories. You must have 100% service connected disability or be compensated at 100% due to un-employability. Upon death of the applicant, this exemption extends to the un-remarried surviving spouse or minor children provided they continue to occupy the home as their primary residence. State Surviving Spouse. An exemption in all tax categories. You must be the un-remarried surviving spouse of a member of the U. S. armed forces killed in any war or conflict (as defined in OCGA 48-5-52.1) and be receiving spousal benefits from the U. S. Department of Veterans Affairs. State Surviving Spouse of a Peace Officer or Firefighter Killed in the Line of Duty. An exemption for the full value of the homestead. You must be the un-remarried surviving spouse of a peace officer or firefighter killed in the line of duty. You may have other tax reduction opportunities as a benefit of being a homeowner. Be sure you provide your tax preparer with a copy of the Closing Disclosure or Settlement Statement. There may be tax savings on your personal income taxes for several years after you purchase your home. If you need more information or have questions, please send us a note. You can also reach us by sending an email or calling us at (678) 570-8123. We'll be glad to help you! If rising interest rates are keeping you on the home buyer sidelines, you’d be wise digging a little deeper into the financial consequences of buying versus renting, both in the short and long term. Millennials certainly find it a big challenge buying a first home, and it’s not getting any easier. Still, none of the generations that came before Millennials found it easy either. The importance and financial intelligence of owning a home has not changed. Waiting for the “perfect” time and opportunity only results in more time passing when you could be building equity. In another year, two years, or five years, hurdles will still need to be overcome. The only substantial difference is you will not have been building equity. One common obstacle facing many millennials is crushing college debt. This is a tremendous challenge. However, consider the prohibitive interest rates that first time buyers in the early 1980s faced. In 1981, the average interest rate was about 17%. This was truly the beginning of when two incomes became necessary to buy a home. Was it fair? Certainly not, but the point is that sacrifices are part of the history of gaining homeownership. Owning is cheaper than renting. An older Trulia Trends study of the 100 largest metropolitan markets found that on average it was 44% less expensive owning a house or condominium than it was renting . February 2019 data shows that Atlanta had an average rent increase of 6.37% (1, 2, 3, 4, 5 bedroom rentals). Three bedroom rental rates topped the chart with a 9.85% increase with two bedrooms up 8.52% year on year. Home prices are still rising – but rising slower. According to Zillow, average prices increased 13.7% over the past year, but are now on pace to rise only 6.6% in 2019 (less than most rents will increase). Don’t you wish you bought five or six years ago? Interest rates continue rising but are still relatively low. Rates are near one-year lows [March 2019] but expected to rise as the spring buying season progresses. The process of buying is more complex than renting, but the financial benefits make it worth the time and effort. Building equity is like having an automatic savings account that is difficult from which to make impulsive withdrawals. The 2017 tax law changes didn’t eliminate the mortgage deduction, it only modified it. Interest on mortgages up to $750,000 for your principle residence is still deducible – but rents are not. Private mortgage insurance is still deductible. One of the biggest tax benefits is that a mortgage often enables you to itemize many other deductions that most renters can't write off. Examples are charity donations, home office expenses, and property taxes (note: your rent pays the landlords property tax without you being able to deduct it). There aren’t many drawbacks to becoming a homeowner other than fear. With reward comes risk, but homeownership is just about the smallest risk you’ll ever take. I know that sounds weird because it is the biggest purchase of your life. It’s true that the 2007 bust left some homeowners underwater and some in foreclosure. However, the millions who rode through the down turn are the same homeowners who are now benefiting with year after year of equity growth as the market continues rising. Some people fear becoming responsible for maintenance and repair costs. And yes, these can be costly expenses. Landlords often maintain a reserve fund from rent profits for these expenses. Conservative homeowners also maintain an emergency reserve fund. Having a home equity line could help in case of emergencies and reduce stress when you do have an issue with the home. If you are still a renter, you missed the best opportunity to become an owner when the market bottomed out back in 2010 and 2011. That’s understandable because unemployment rates were off the charts and the economy was in complete turmoil. However, that’s also the same time landlords scooped up the bargain properties that they have been raising rents on ever since. Today, with employment steady, wages rising, interest rates reasonable, mortgages easier to qualify for, and home price increases modest, you may never see a better opportunity to become a homeowner. Will your home work as you get older? This is a question that keeps getting asked more and more. Many older people want to stay in their home and community. 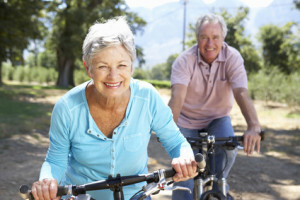 According to an AARP survey 71% of 50-64 year olds want to stay in their homes and communities. This is called aging in place. according to the U.S. Centers for Disease Control and Prevention, aging in place is the ability to live in one's own home and community safely, independently, and comfortably, regardless of age, income, or ability level. In order to stay in your home and community you must evaluate them. Make sure your home is functional and will work as you age, and the community has the resources that you need. Below are some universal designs for the home. Universal design is the design of environment and products that are usable by all people and that will not need any adapting or specialized design. There are many universal designs but the 5 most common are below. One-floor concept/living: This is just like a ranch home and most 55+ communities are ranch homes. It gives a homeowner complete access to all parts of the home without having to use stairs. Lever style handles: Most homes have doorknobs that turn. A great universal design that is functional and visually appealing is the lever style handle. It makes it easier for everyone to open doors, including wheelchair users. Instead of turn a knob you just push down on the lever handle. I have these in my home. No-step entry: This is a great universal design. It allows people who use wheelchairs walkers, etc. to easily enter a home. This is great for everyone. Imagine if you broke you leg and you had to climb 10 stairs to get into the house. Wide doors and hallways: Doorways should be 36 inches and hallways 42 inches wide. These are very important for people in wheelchairs or walkers, because it allow them enought space to enter rooms and turn around in hallways. So where can a person or buyer go to find the right community that will work for them long term. AARP has a liveability index that was developed and is the only one that is a nationwide neighborhood-base livability index. This idex covers seven different categories and scores it according to how the neighborhood or community compares to the national average. The index include categories such as housing, neighborhoods, and transportation. Check it out. If you need more information or have questions contact me. I am glad to help. Below are some other great articles about this topic. 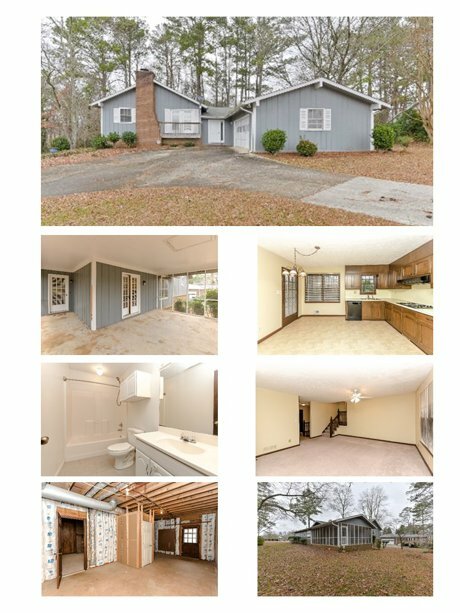 Captivating home in an excellent location, close to East/West Connector, 285 and 20. 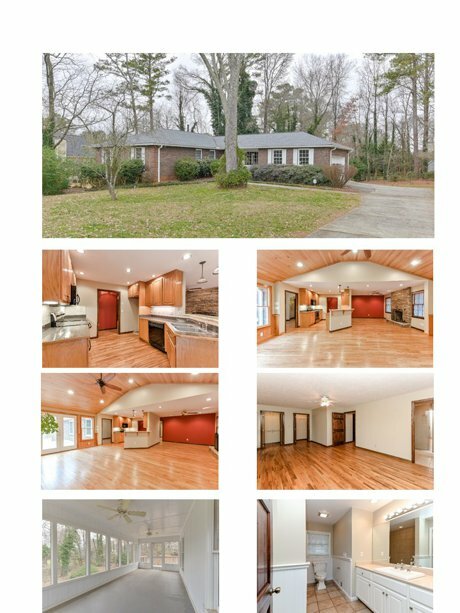 It is a well maintained and move in ready home with large kitchen, upstairs great room, spacious screened porch, and wonderful private lot with yard. This home also features a full partially finished basement with a big great room and fireplace. There is a new construction to be built across the street starting in the 300's.